Crisp green leaf lettuce garnished with tomatoes, cucumbers, shaved carrots, sprouts, and croutons. Large garden salad topped with our marinated, oven roasted breast of chicken. 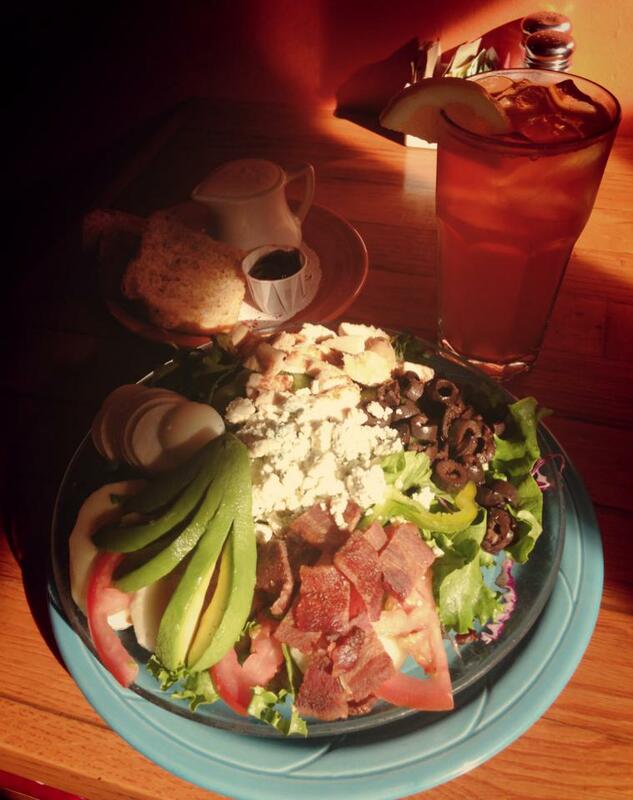 Our large garden salad super-cobbed with marinated, oven-roasted breast of chicken, bacon, avocado, hard-boiled egg, black olives, and crumbled bleu cheese.